Whether you plan to stay at home this Christmas and welcome guests, or travel cross-country to see loved ones, how will you keep the gang entertained between all those big meals and gift giving? Here are some great ideas sure to please everyone! The holiday season can be hectic with groceries to buy, gifts to wrap, cleaning to do, and more. That’s why if you’re having guests over or are planning to visit loved ones, you probably haven’t thought of how you'll keep the gang entertained between all those big meals and gift giving. To inspire you, here are ideas for activities you'll find in some of Canada’s major cities, whether or not you live there. When you think of skiing and snowboarding, New Brunswick likely doesn’t jump to mind as having one of Canada’s top ski and snowboard resorts. In fact, Crabbe Mountain, the highest peak in the Maritimes, has everything you or your guests could want if you need time away: tons of snow, plenty of runs and chair lifts, and lots of cozy accommodation in nearby Fredericton. If winter sports leaves you feeling cold, there’s no better way to reconnect with the spirit of the season than at an old-fashioned Christmas market fair. Best of all? Canada has many to choose from! In the Atlantic provinces, some of the best one-of-a-kind crafts converge at the Nova Scotia Designer Crafts Council Christmas Show on the Halifax Waterfront. It’s definitely worth a visit! Even the most tireless host sometimes needs a break – and a meal out can be a treat! The problem? Kids can be fussy. Fortunately, there are many family-friendly dining choices in Halifax that don’t involve a drive-thru, scary clown-like mascot, and that locals and visitors alike will love. Places like Steak And Stein Family Restaurant and Lakeside Family Restaurant & Pizza fit the bill, with home-style dishes and extensive menus. If you can't keep your eyes open for late-night dining, consider a relaxing brunch at some of Halifax’s best brunch spots. You’ll want to visit more than once! The wonderful thing about Quebec is there’s so much to do, explore and experience for both locals and tourists. If ever you’ve eaten one too many big holiday meals, then a walking tour of Montreal is the perfect (and fun) solution to burn it off! From the Montreal Ghosts Walking Tour in Old Montreal to a special Christmastime stroll where you'll get to meet Santa, visitors and locals alike adore these history- and story-filled walks through the town. Dog sledding, zip-lining, inflatable games and more at Parc Jean-Drapeau, the former site of Expo 67. If there’s one thing everyone agrees on is that Montreal is a photo-friendly city. Instead of taking yet another photo of the Christmas tree (or Uncle George snoring in the recliner) why not grab your camera, bundle up the kids and head out to Montreal’s most Instagram-worthy spots for pictures people will really want to see. Of course, not everyone loves winter’s chill. For those of you who shun below-zero temperatures, you could always sneak off to one of Montreal’s most luxurious day spas for some well-deserved pampering! Despite your best efforts to keep everyone happy, sometimes a jaunt about town won’t cut it. The solution? A change of pace by taking a day trip to Quebec City. With its Old World charm and immense fortifications, there are many great places to discover in Quebec City, including the Citadel, the Aquarium du Québec, tons of museums, and (of course) Quebec City's world-class restaurants. Keen for a relaxing family breakfast on Boxing Day? You’ll have no problem finding choice spots at the ByWard Market. Need some alone-time with your SO? Ottawa has the perfect romantic restaurants for two. Been skiing all day? Starved for something to fill you up? How about finger-licking barbecue? And when you’re ready to welcome in the New Year, there are many superb spots in Ottawa to raise a glass of champagne! Without a doubt, TO has it all: fashion, food, and fun spread across a vibrant metropolis. That means for lucky locals there’s no shortage of lively neighbourhoods to explore, where visitors can venture at their leisure – Liberty Village, The Annex and Parkdale, to name but a few. Each of these unique enclaves offers an opportunity to spend a few hours meandering about discovering their unique character. A frozen dessert parlour (of all things!) called Sweet Jesus with over 67.5K Instagram followers! Nathan Philips Square, home to the famous 3-D TORONTO sign. Toronto Botanical Gardens, which is a sanctuary of activity throughout the year. For locals or visitors who want to get their blood pumping, Toronto has an array of community skating rinks that offer scenic views and cozy facilities. Everywhere from Monarch Park Stadium in the city's east end to Colonel Samuel Smith Park in the west, there’s plenty of opportunity to grab your skates, collect the kids, and do what Canadians have always done: skate for hours then warm up with some delicious hot chocolate! Heading just north of the city to the McMichael, a national art gallery with the largest collection of Group of Seven paintings in the country. In the mood for a hike? There are also lovely trails nearby. Visiting Steam Whistle Brewing, an independent brewery housed in Toronto's historic John St. Roundhouse next to the Rogers Centre. Spending the day at the Kensington Market – complete with some of best vintage shops, grocers and international eats in town. It takes more than the region’s famously unpredictable weather to dampen the holiday spirits of Calgarians. That’s why during Christmas the city comes alive with an energy that make this unique gem of the Prairies shine. Just as having family seated around the dinner table is important, so is giving Mom the break she deserves. There are several excellent restaurants for Christmas dinner in Calgary that offer sit-down or take-out meals for Christmas Eve and Christmas Day. Suggest to Mom that someone else does the work this year. If Mom insists, you can still treat her to a delicious New Year’s Eve dinner at one of Calgary's favourite restaurants, like the Danish Canadian Club and Pampa Brazilian Steak House. While most people are happy to receive new stuff for Christmas, true book lovers will tell you an afternoon spent sifting through stacks of well-loved books is a treat. And Calgary has some great used book stores to discover. Cabin Fever Books stocks rare and out-of-print copies of the classics, plus vintage posters and prints. Aquila Books buys and sells specialty books, manuscripts, artwork and antique scientific instruments. Books Between Friends is a special place where the Christmas spirit lives year ’round because they donate most of their profits to charity. And if you can’t bear to watch Rudolph the Red-Nosed Reindeer one more time, you’ll be happy to know Calgary has a vibrant theatre scene. From classic to contemporary, searing drama to sidesplitting comedy, why not spend a few hours at one of Calgary’s top live-theatre venues for a change of pace? 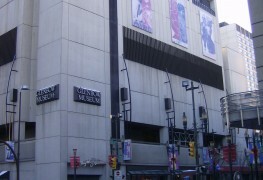 If you’re keen about culture but with a historical flavour, Calgary also has a ton of great museums worth visiting: from the Glenbow Museum which houses Western Canada’s largest art collection, to Heritage Park Historical Village providing a snapshot of Western Canadian life from the 1860s to the 1950s, to Canada’s Sports Hall of Fame! From art lover to history buff to sports enthusiast, there's something for everyone to enjoy. Edmonton is steadily becoming a major Canadian urban centre, with a host of world-class activities to discover. So whether you’re entertaining guests or visiting, there’s no shortage of things to do during the holidays. The Art Gallery of Alberta, with its collection of more than 6,000 pieces, is dedicated to exhibiting and preserving art and visual culture in Alberta. It's also great for kids and offers Wednesday morning Tours for Tots and childrens' birthday parties. The Alberta Legislative Assembly Visitor Centre is a chance for out-of-towners to discover the province’s vibrant history and culture through exhibits, displays and an interesting 45-minute guided tour of the Legislative Assembly. A visit to the pyramids at the Muttart Conservatory to take in their impressive botanical displays. 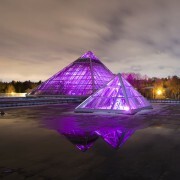 Home to an astounding array of plant and flower species, the Muttart Conservatory combines art and nature into a stunning experience you'll never forget. 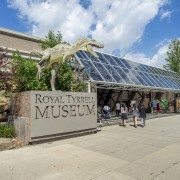 The TELUS World of Science makes science enjoyable and understandable for everyone, with captivating exhibits, special events, IMAX movies, planetarium shows and more. If you're a night owl by nature, you're in luck! Among Edmonton’s best places to go out in the evening to meet friends are the O'Byrnes Irish Pub, The Bower and Stage 104. 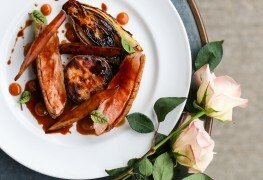 For a date-night to remember, the city boasts several top-notch spots with everything needed for a romantic evening for two: fine food, excellent wine, and a cozy ambience. If you’d like to pick up the tempo some of the best places for live music are The Almanac, Blues on Whyte Pub and Cha Island Tea Co.. The Alberta Ballet performs the classic Nutcracker Suite every December. Catch a family matinée at the historic Metro Cinema in Edmonton’s Garneau neighbourhood. Most Saturdays, kids under 12 get in free for activities in the lobby plus a classic children’s movie at 2 pm. Whether you prefer the charm of an authentic Christmas market or the modern spectacle of the world’s largest light-up maze, there are many ways to celebrate Christmas on the West Coast. Riding the Bright Nights Christmas Train which chugs through Stanley Park, taking young (and young-at-heart) riders through a dreamlike tour of the park lined with millions of flickering lights, live performers and captivating Christmas-themed displays. Visiting the world’s tallest living Christmas tree all lit up, next to the Capilano Suspension Bridge Park. Enjoying breakfast with Santa and his Elves in his mountaintop workshop at Grouse Mountain’s Peak of Christmas Celebration. The Gulf of Georgia Cannery, which offers a unique glimpse into the West Coast fishing industry and culture. It also offers seasonal events like farmers’ markets, local art shows and film screenings. The Roedde House Museum, recreating the daily life of an average middle-class, immigrant family from the Victorian period. It’s a highly interactive experience and guests are encouraged to wander through rooms, and handle objects and artifacts from the era. For anyone interested in photography, Vancouver and environs is the place to do it. So where are the best views in Vancouver for snapping photos? For an urban view there’s the Vancouver Lookout at the top of the historic Harbour Centre building. With some trekking, Queen Elizabeth Park is the highest point in the city and has the prettiest locale to see Vancouver’s downtown core. 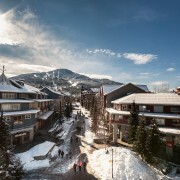 For more sweeping views, if you’re feeling adventurous and energetic, Grouse Mountain and Mount Seymour Resort will deliver unforgettable vistas of the Vancouver area that will make the extra effort pay off big time. There are many great neighbourhoods in Vancouver for visitors to stay, but it seems everyone likes to flock to the West End for its laid-back vibe and stunning scenery. Bordering North America’s largest natural city park, the area offers a wide range of activities for both visitors and locals – from cycling the Seawall to shopping on Robson Street to strolling through tree-lined residential streets. 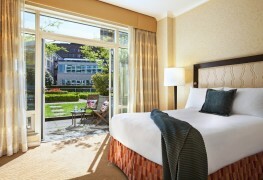 If you have time to spare, why not spend a relaxing day exploring Vancouver’s West End. When the time comes for some grown-up fun, whether to meet friends for cocktails, dance the night away, celebrate a special occasion, or for a low-key rendezvous Vancouver’s best nightlife destinations are ready to deliver. If you want to impress out-of-town guests with a wow-worthy take on the classic Canadian Caesar, take them to Score on Davie. For a fun ladies’ night out, make a beeline for a curtained booth at the swanky Notch8 Restaurant & Bar. Want to take a trip to Jamaica for the evening? Hit Calabash Bistro where you’ll swear you’ve been swept away to a land far, far away. Whatever you do in Vancouver, you’ll wonder why it was ever dubbed “No Fun City”! The Christmas holidays can be crazy, and in between everything you need to get done are the friends and family who make your life special and give it meaning. 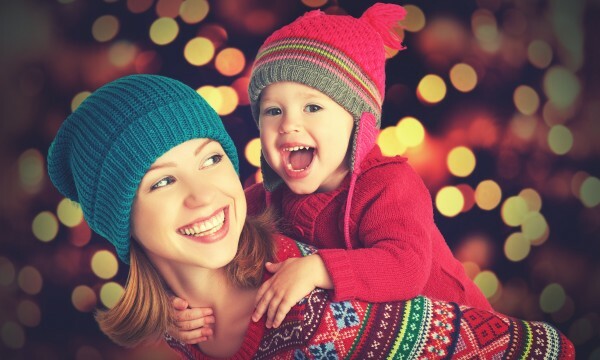 So whether you’re planning to have loved ones stay over for the holidays, or you’ll be traveling across the country to see them, make sure you spend quality time with them doing activities that will create wonderful memories to last a lifetime.